One company recently approached us because over the past two years they had created a successful business, with over twenty employees. But they couldn’t get a business loan because they hadn’t taken the time to build a business credit profile and didn’t know where to start. You may have seen marketing hype about how a business credit profile can overcome a bad personal credit file. In most cases, however, it’s important that small businesses have both good business credit, as well as solid personal credit on the part of the owners. This is especially true in the current environment where investors and venture capitalists aren’t handing money out to just anyone who can breathe and has a business idea! Even established businesses will find it necessary in some cases to provide the business owner’s personal guarantees on some loans or credit cards. In addition, you don’t have the same credit protection laws with business credit that you do with personal credit. So you want to make sure you start out on the right foot, or it can be difficult to make corrections. 1. Set up the proper business structure. Take basic steps to ensure your business appears “real” and stable to the business credit bureaus. That means getting the proper occupational licenses, and a phone number that is listed with directory assistance in the businesses’ name, among other things. Your business will generally need some form of corporate structure to effectively build a business credit rating. Unlike personal credit ratings, where you can have a small income yet get a top FICO credit score, the best business credit scores are reserved for large stable businesses, those with several million dollars in sales a year and 25-50 or more employees. But don’t let that stop you! By taking a few careful steps, you can start small and still build a decent business credit rating to get you the borrowing power your venture needs. 1. Don’t try to “buy” good credit! Some companies will offer to “sell” trade references for a large sum of money. This is a rip off and if the credit reporting agencies find out, they will purge those references. 2. Don’t spend large sums of money on a shelf corporation from a company that “guarantees” you will be able to use it to get loans. More often than not, the company won’t have the kind of credit rating you’ll need to be successful. 3. 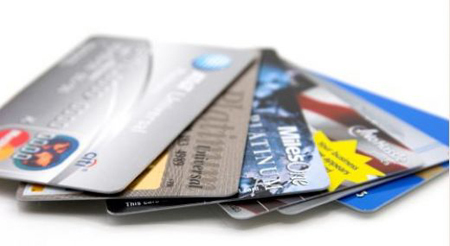 Don’t try to get business credit as a substitute for bad personal credit. If you have damaged personal credit, work on rebuilding it while you’re building business credit. Entrepreneurs are usually hard-working, creative and willing to get the job done. Fortunately, those are the same qualities that will help you through the process of building strong business credit. Get started now! 29 Minutes to $100,000: How To Create A Perfect Business Credit Profile in 29 minutes and Make the Banks EXPOSE Their Secret Lending Programs to YOU!